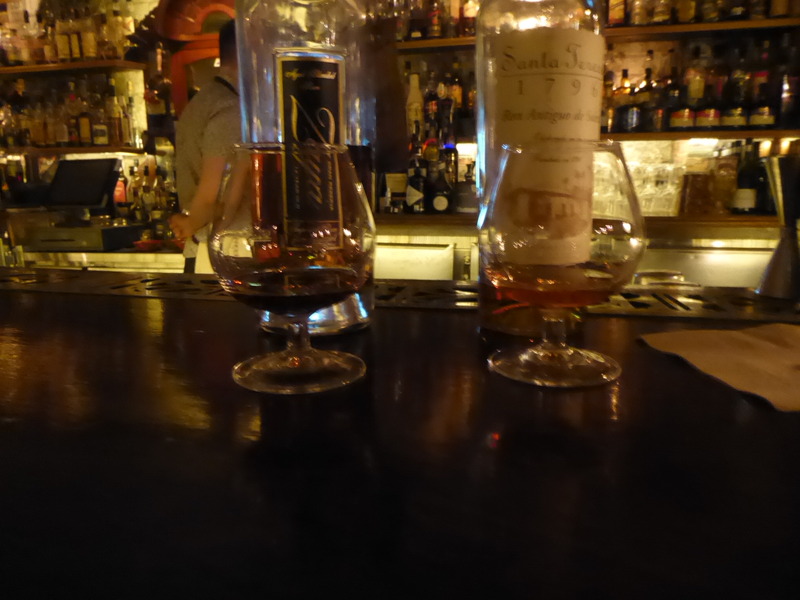 I called in to LOBO PLANTAION BAR In Sydney the other day in my latest endevour of trying to find my perfect rum. I have a lot of work to do in trying to find out exactly how I want to accomplish this as there are a lot of rums from a lot of regions from around the world. I arrived at the Lobo shortly after opening so it started off pretty quite but it didn’t take long to start filling up and this was on a Monday afternoon/evening. It looks like a very nice place but I have to admit I didn’t stray far from my bar stool where i was getting helpful attention from the barman whose name unfortunately I have misplaced. The five rums, in the order they appeared on the cash register docket, so hopefully the order in which I drank them where:-. the rums are aged in whiskey and bourbon oak barriques (225-liter barrels) for a minimum of 12 years. From http://www.rumratings “A unique blend of hand-crafted Rums in a 15-year ‘Solera’ system that marries French oak casks with mature spirits to create a Rum of superior quality. Zaya 12YO Gran Reserva Bottling Note 12 year old rum from Trinidad, bottled for the Zaya range. Made with a carefully crafted blend of rums, all of which have aged for at least 12 years, Zaya is a rich, oily, nutty expression. Good helpings of citrus peel, Brazil nut and heaps of vanilla notes throughout this one. 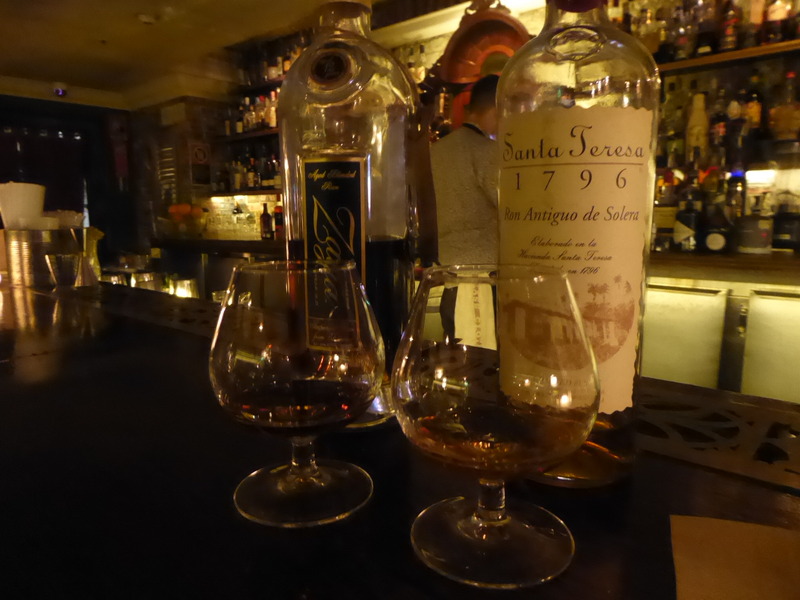 Notes From http://www.masterofmalt Santa Teresa 1796 is a blend of Venezuelan rums, vatted using the solera system, blended from rums aged between 8 and 12 years of age. After blending it is aged for a further year in bourbon barrels. RON MILLONARIO Solera 15 Reserva Especial Rum NORTH PERU owes its select aroma and flavour to its painstaking ageing and maturation process. While aged in American and Slavonian oak casks, four rows of the solera system are employed, and after fifteen years of ageing, the enrichment of the rum’s quality is assured. A rich, persistent nose of candied-fruit, prunes and cloves. The palate offers tastes of butter toffee, sultanas, Demerara sugar and even a hint of cola. Tasting Note by The Chaps at Master of Malt, Nose: Sweet, rich and sticky with hints of smoke, toffee, cinnamon, allspice, stewed fruits and cigar leaves. Palate: Sticky toffee pudding, dates and walnuts, Molasses, dark brown sugar and vanilla spice. Finish: Long, sweet and easy-going! Its deep amber colour hides a rich and persistent nose, full of candied fruits, cocoa, coconut, plums and cloves. It’s very buttery too. On the palate, we have again a first spicy flash of cloves, then it becomes fully sweet and syrupy, dominated by butter, toffee, raisins, figs, dates, cola, molasses and dark sugar. A very pastry-like rum, thick and coating, but which ultimately leaves the palate clean. The El Dorado 12 Year Old has been awarded a gold medal at the International Wine and Spirit awards for 8 years running. A blend of specially selected aged rums, it is a combination of the Enmore and Diamond Coffey stills and the Port Mourant double wooden pot still, blended to perfection. Lush tropical fruit and spices dominate the nose with hints of honey and dark sugar. It has a round, mellow, full bodied palate with powerful fruit, tobacco, and orange; leather and toasty oak flavours. Dictador 20 year old Rum 700mL is made from the fermentation of virgin sugar cane honey that has been distilled in both copper alembic and steel continuous column to achieve a smooth medium body rum. Intense dark amber with soft vanilla, smoky honey, toffee and oak on the nose. Massive flavour, strong and textured with caramel and cocoa. TASTING NOTES; Intense dark amber colour with red brown tones, big on the nose with soft caramel, vanilla, smoky honey, toffee, dry seeds, roasted coffee and a rich rounded oak sensation. In the mouth it is very soft and round, yet big and full flavoured, with caramel, vanilla, cocoa and roasted honey and a strong and rare texture, exceptional complexity unique to DICTADOR Rum, great finish. As I haven’t as yet worked out how to review rums while tasting them in a bar, I have included tasting notes from the distillers where I could and from the net when I couldn’t. I have tried to attribute comments to the relevant sources but cut paste copy and rewrite has been a bit of a challenge. Here’s hoping I haven’t upset anybody.